We are Youth education center (Jugendbildungsstätte) of KAB (Die Katholische Arbeitnehmer Bewegung – Catholic workers movement) and CAJ organizations (Christliche Arbeiterjugend Deutschland – Christian workers’ youth movement Germany) since 1988, Youth education center for the area of Upper Palatinates (Bavaria/Germany) since 1995 and since 2013 a Bavarian Environment Station. We register around 30000 overnight stays and organize around 200 seminars of our own per year. We are equipped with more than 160 beds in single, double or multiple bedrooms and more than ten seminar rooms of different sizes and therefore able to provide a variety of possibilities for individuals, associations and even school classes. Given our education specialization on media pedagogy is at your disposal highly developed infrastructure for the media work ranging from free wireless internet (encrypted) and internet ports in every seminar room to the possibility of landing computers, cameras, GPS navigations or projectors. Since 1983 we are a Youth hostel and a member of German hostel organization (Deutschen Jugendherbergswerk). 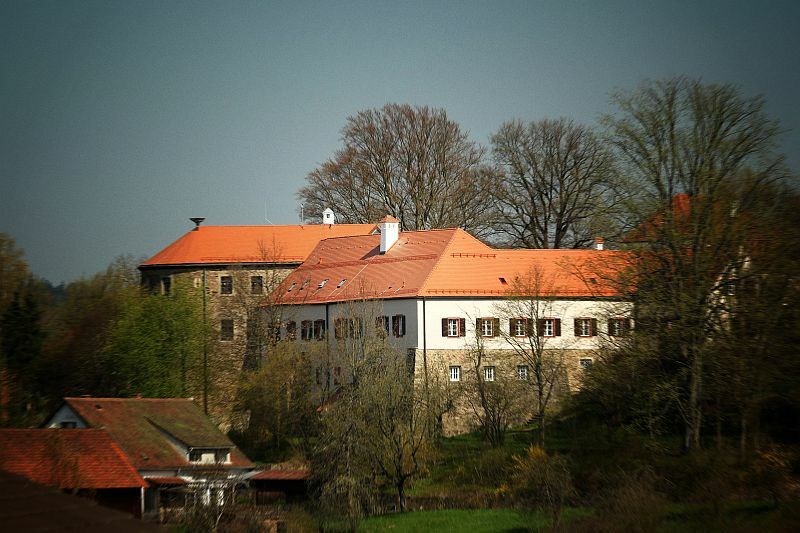 Our institution is situated in the East Bavaria between the recreation areas and national parks Bavarian and Upper Palatinate Forest, directly at the border with Czech Republic. Families, associations, school classes and nonprofit organizations can use our Youth education center as a hostel. That is the reason why it is possible to self-organize school trips, summer camps, meetings, training camps, seminars or workshops, or just even (family) holiday within our premises. Companies and commercial customers are welcome as well – the offer can be drawn up based on the “commercial prices”. Short term noticed overnight stays for individual recreants, tourists, cyclists or motorcyclists are possible as well. With the wide scale of seminars we mostly focus on children, adolescents and staff working with the young (see the year’s program). Schools and other youth groups can benefit from our week-long seminars focused on our educational priorities.